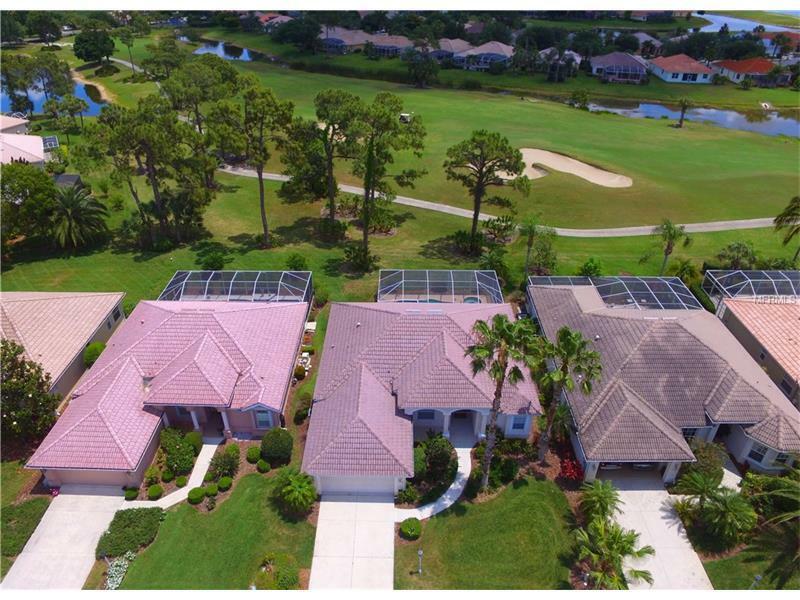 Amazing views from this 3 Bedroom, 2 Bathroom, Golf Course home in Bobcat Trail, a gated community in North Port, Florida. This home has a private swimming pool with in-ground spa, split bedroom floor plan with master bedroom on one side and two guest rooms on the other. Zero corner pocket sliding glass doors in great room open to the lanai/pool to expand your living area. Watch the sunrise over the golf course each morning from your breakfast nook, great room, master bedroom or lanai. Bobcat Trail is a deed restricted, gated community featuring country club living with a beautiful championship 18-hole golf course and clubhouse. Community amenities include heated community pool, tennis court and a community center with a fully equipped exercise room. No age restrictions. Bobcat Trail is the place to call home year round or seasonally. Great location with easy access to I75 via exit 179 Toledo Blade. Short distance to shopping, dining, beaches, spring training facility/sports park and much more.